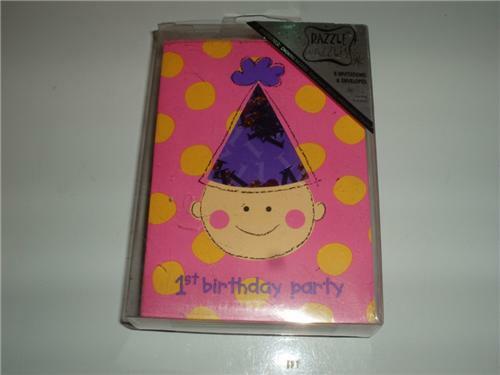 You are buying one 1st birthday little girl invitations. The invitations are new and sealed in the package. You will receive one pack of 8 invitations. These 1st birthday invitations will make your little ones first birthday party special. Shipping is a standard rate, this shipping could take 2 to 9 days to get there. You may also choose priority mail which is a bit more expensive but usually takes two to three days. If you have any questions please Contact Me.